Flexibility and autonomy are strong values to prioritize for the future of the supply chain, and 3D printing could bring both of those with it, since it offers solutions for prototype testing. Let's examine some of the news stories surrounding 3D printing and see how the business could unfold from here. First of all, it may be increasingly important to look to different types of materials for 3D objects in the future. According to CNET, BMW is taking steps to possibly develop a strategy for metal 3D printing, which could create parts for testing that mimic the real thing more closely than similar prototypes made out of plastic. The process would do this by fusing tiny metal grains together to form a coherent material. The source added that this specifically comes from BMW i Ventures, an enhanced fund for venture capital-related projects that could spark similar innovations later on. In November, BMW AG Board of Management member Peter Schwarzenbauer described the expansions made with his department, which reflect the general progress seen in the forward-minded tech sector. "These days, more and more innovations come from the start-up scene," he said. "Venturing allows us to tap into this potential at an early stage. To achieve this, we are now giving BMW i Ventures a much broader footing and will expand our involvement in Europe and Asia, as well as at our new location in Silicon Valley." 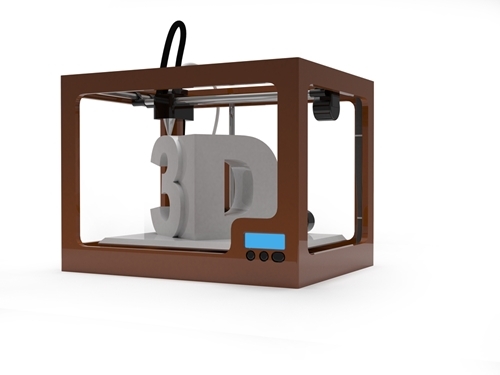 "New developments could bring 3D printing to more departments." New developments could also bring 3D printing to more departments as the technology itself gets portable and easier to manage. Stratasys, for example, recently developed a printer intended for simple use in offices and even classrooms. The apparent intention behind this, putting models in the hands of design groups more quickly, could end up being a bigger priority, since speed is already a clear perk to 3D printing in general. 3DPrint also reported on the "portable" aspect of 3D printing, and what it could mean for the industry in the future. Although there are challenges, this article said that innovations in battery power, specifically, could help portable 3D printers reach more users as they become less dependent on energy. There may be power and expense barriers to doing this in the short term, but later on this could evolve into what the source dubbed a "mobility package" including a power source, as more people think of the 3D printer as just another tool. For yet another posible glimpse at the future, we can look to space travel. Boeing reportedly wants to use 3D printing in spacecraft part production, at least when it comes to the Starliner vehicles. Unlike BMW, Boeing is still interested in chiefly plastic materials for this purpose, although this is a strong and resistant plastic that would withstand the conditions of space. Even though there's still data yet to be gathered to show the effects of printing, the comparative benefits are still clear. To continue prioritizing efficient partners, businesses could use global sourcing and improve their efforts in different regions.